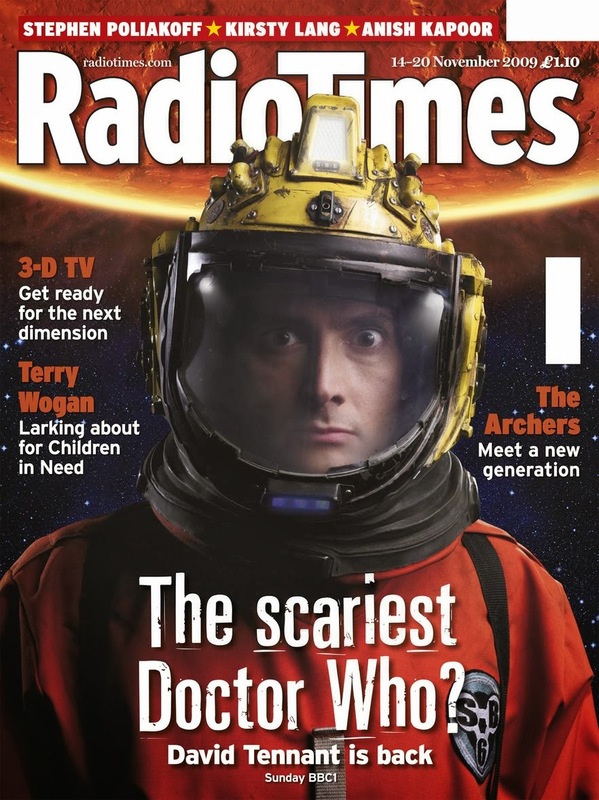 This is the tenth part of a series of articles celebrating the 50th anniversary of Doctor Who. Over the years there are certain stories that mean a lot to me either from personal memories or involvement I had in fandom through the years. These articles are not meant to be close examinations of the plot or production but more about what these stories mean to me on a personal level. Enjoy. I will be honest from the outset, I am not a big fan of David Tennant’s portrayal of Doctor Who. I am not someone who rates his favourite Doctors in order. I would never go up to tell Colin Baker he is my 7th favourite Doctor and mean it as a compliment. I don’t have time. I generally love all of them. Unfortunately, I have a least favourite. That is David Tennant. I am sure I am breaking some rule of being a fan of the series in the 21st century. All fans have to love him. Well, I know that he is a fan favourite for the younger generation. 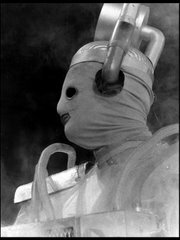 He embodies a lot of what I don’t think the Doctor should be. I know that some of this goes down to how the character of the Doctor was re-imagined by RTD. Suddenly, he is an angry dark figure with a scary past. The warrior; the oncoming storm. I know this characterization started even as far back as Season 25 but that was different. Then it was mystery where now it is a character who walks in a room and shouts a lot about how badass he is and people believe him. Someone said to me about the Tennant era that they liked him so much because he was so tragic. Shut up! It’s an angle of the Doctor I can personally do without! Honestly, I don’t believe Tennant had the chops to pull the character of the Doctor off. At least the character that RTD created. I am assumingthis is where someone points out to me that Doctor Who had some of the highest ratings of all time during the Tennant era therefore my opinion is invalid. I get it. It doesn’t change my opinion. When Eccleston does angry, he is angry. When Smith does angry, he is angry. When Tennant does angry, he is shouty. His Doctor makes a lot of empty threats. The most laughable to me was in The Idiot’s Lantern. We find Rose without a face, as one does, and the Doctor is pissed. He makes an over the top shouty threat that he will get Rose and make whoever did this pay!!!!!!!! Sorry. It’s ridiculous. I feel I should end the article here but I have more. As soon as I saw Tennant’s costume, it looked like a fan costume. Tennant had a hand in how the costume looked and he was a fan. Sure the colours matched and there was no sprig of celery but I have been to enough conventions to see a fan costume. This was it. I know this costume was at the front of the cosplay movement but it does nothing for me. And the one thing that Tennant had going for him that was really cool he was not allowed to use by RTD. His accent. Speaking in his native Scottish accent, he sounds great. Look at Tooth and Claw. I think if he spoke like that throughout his era, my opinion would have been greatly changed. Is that a little too ridiculous? He sounds great in Tooth and Claw. Sylvester McCoy was allowed to keep his accent. I believe Peter Capaldi will be allowed to keep his. I had a big problem with Tennant when he joined. He replaced Christopher Eccleston. I can hardly blame Tennant for that. Still, I was pretty gutted when Eccleston left. Series 1 is super magical to me. There was an edge to it which kept the viewer on their toes. To me, the whole tone of the series changed in Series 2. Tennant was still trying to find his way as the new Doctor. I felt the scripts were not that great, at least not as great as the scripts used for Series 1. Of course, that is all personal taste. The thing I never really came to terms with was how the relationship between Rose and the Doctor changed between Series 1 & 2. The Doctor always found Rose to be a very special person. That is why he asked her to join him in travelling. The relationship between the two seemed to be very friendly with fun amounts of flirtation. When we get to Series 2, there is clearly more happening between the two of them. Apparently, there is an inside joke that only the two of them are privy too. I wouldn’t have minded if those two were having a relationship together but they were so smug. The two characters became unlikeable to me. I think the worse was in Tooth and Claw where Rose was trying to get Queen Victoria to say she was not amused. This seemed like a complete lack of respect for the ability to time travel. I sound like an old man! I have heard that the point of them acting this way was for them to get the big comeuppance of Rose being trapped in the parallel universe at the end of the season. Maybe so but it doesn’t change the fact we had to put up with them for the run of Series 2. But did we have to put up with them? That’s the thing I do not understand. 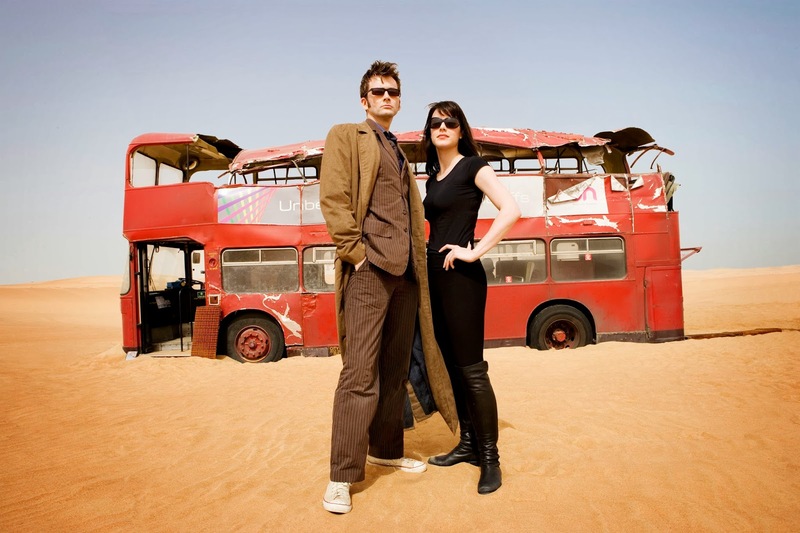 Myself and a couple other people I know feel the same way about the tenth Doctor and Rose’s relationship but it appears many look at it as the greatest and most tragic love story in Doctor Who. This is what made a lot of teenagers fans of the series. I just didn’t go for it. 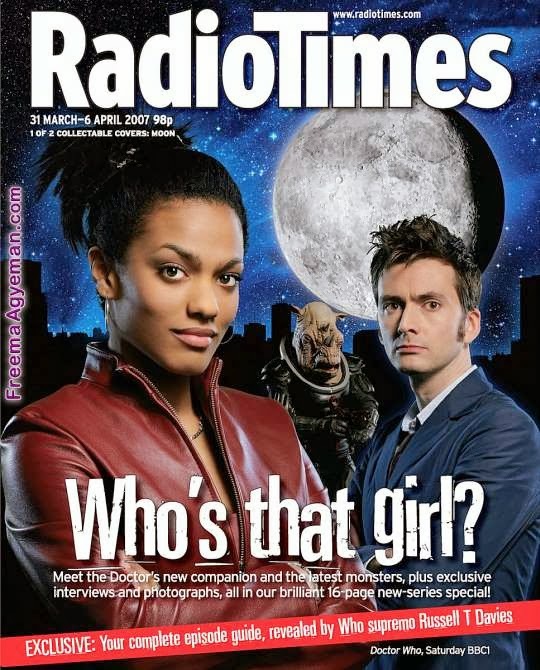 When the series returned in 2005, Rose was a breath of fresh air. When she left the following series, I couldn’t wait to see her go. Of course the Doctor was emotionally wounded by the loss of Rose. We get Martha on the scene. She appears to instantly fall in love with the Doctor even though he never notices. What he also doesn’t know is that she does a lot to help him move on from Rose. She never gets credits for that. Did RTD not like Martha? As much as I didn’t like Series 2, I felt Series 3 was inspired. There are some great stories that are in this year. I love Human Nature and The Family of Blood. I love Blink. Unfortunately, Blink may have been the worse thing to ever happen to Doctor Who. The phrase wibbley-wobbly timey-wimey was fine in Blink. It is horrible in anything else especially when fans use it to explain away something on fan forums. I really feel like that Moffat felt like he needed to incorporate the flexing of time in the narrative to everything he did. He comes across like he is being overly clever when he does this but he falls far short. The ideas rarely ever hold up to plot scrutiny. There is usually something that I can point to as to why there are plot holes but never fear! We have any explanation now for literally any kind of plot hole. It is wibbley-wobbley timey-wimey. More like punchy-punchy in facey-facey. I know it sounds like I don’t like anything and that is not true. 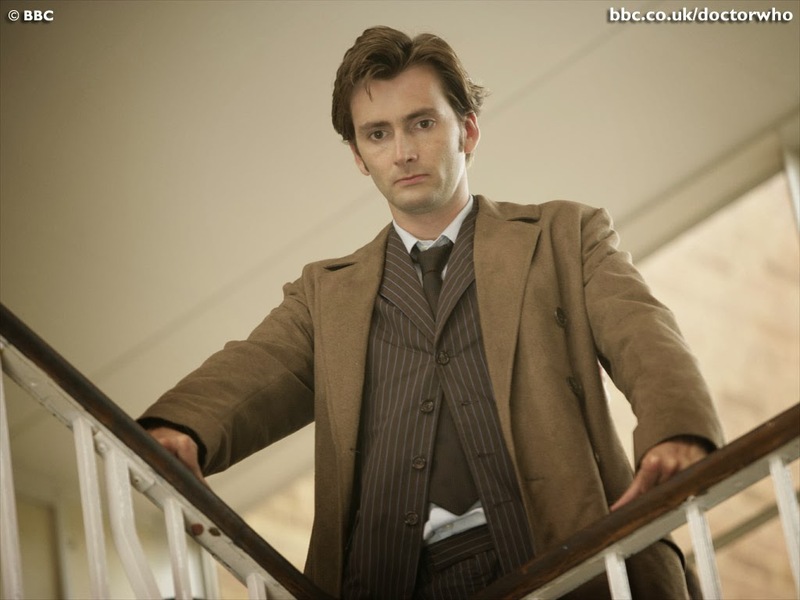 Once Tennant’s Doctor was away from Rose, I found him much more enjoyable of a character. 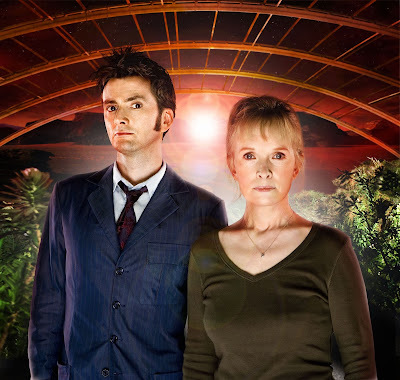 I thought the return of Donna Noble in the series was great. I thought she was kind of odd in The Runaway Bride but she had an amazing character development in the series. Unfortuantely that all came to an unnecessary end in Journeys End. I am not sure why RTD writes himself in a corner by erasing all of Donna’s memories of her time with the Doctor yet brings her back for Tennant’s finale where the two can’t even share a scene together. To me, it felt a lot like of writing in circles because of the limitations put onto the character now her memory was erased. The end of The End of Time with the Doctor giving Donna’s mother the lottery ticket with the money he borrowed from her deceased husband was really touching. 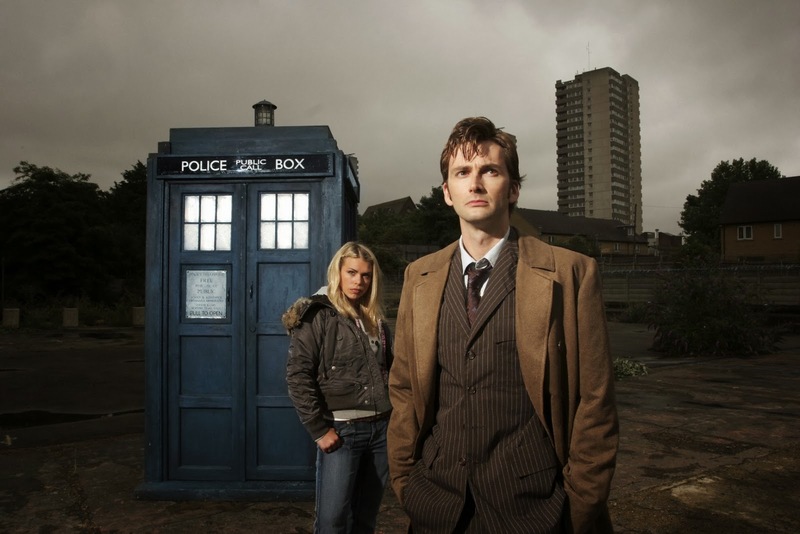 The three series that starred David Tennant as the Doctor showed us that he was surrounded by friends that would ultimately reflect how he treated other people. Perhaps in some way the companions of that era were buffers for him. What would happen if he were by himself? 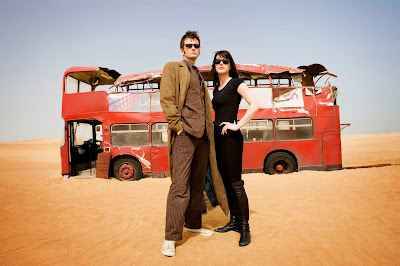 The final set of adventures featuring the tenth Doctor were a set of specials that formed the gap year. 3 of the four stories featured Tennant by himself. He would team up with someone in each adventure but effectively he was on his own. This would lead to one of my favourite stories of his era. The Waters of Mars. Were you wondering if I was ever going to get to this? 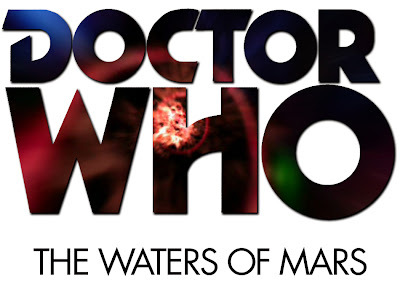 The Waters of Mars is one of the scariest Doctor Who stories of all time. Basically from the moment he arrives, the Doctor is trying to get away. This was a fixed point in time where all of the personal of Bowie Base One are killed. No one ever knows why. The death of everyone on this base, especially its commander Adelaide Brooke, is the launching pad for allowing Earth to reach further than it ever had before as Adelaide’s granddaughter becomes a great space explorer ushering in a new dawn. One of the greatest continuity errors in the series happens here. Adelaide was a young child when the events of the Dalek invasion in The Stolen Earth happen. She remembers being in her room as a Dalek flies by her window going to kill her bit doesn’t as if it knows her. The Doctor explains that is because the Dalek knows her death is a fixed point in time. The point of the Dalek invasion was to get the Earth to align the planets to create the Reality Bomb that obliviates everything except the Daleks. Nothing else would exist except for the Daleks. 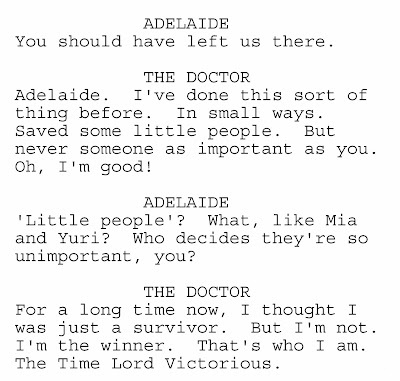 Therefore, the plan would never work if Adelaide was a fixed point in time to the point that the Dalek wouldn’t kill her to uphold that rule. Anyway, what I love about this story is that the Doctor is alone and is out of his element. He really only wants to get away once he knows where he is. Adelaide calls him out on everything even calling him a coward at one point. There are some very tense moments in the story. Let alone when crew members are taken over by the water is frightening enough, moments between the Doctor and Adelaide are chilling. After she tells the Doctor he can leave to go back to the TARDIS, she traps him into the air lock to get more information about what is going to happen to her and her crew. She is very much an equal to the Doctor and we find she actually surpasses him. In one of the most emotionally charged segments of Doctor Who, he walks back to the TARDIS outside on the surface of Mars. Through the communications radio in his helmet he can hear the chaos and fear as the crew is trying to escape and he is unable to help them. Suddenly, after Ed becomes affected and blows up their escape ship, the Doctor snaps. We hear this wonderful collection of clips to remind us that he is the last of the Time Lords but he still needs to follow their rules. Suddenly, this all changes as he decided as last of the Time Lords to start doing things his way. He returns to the base with a new attitude. He is the last survivor of the Time war; he is the Time Lord Victorious. He saves the remaining crew by transporting them back to Earth. The Doctor has changed. He plays it cocky and is looking down on the people he saves. Tennant play this exceedingly well. 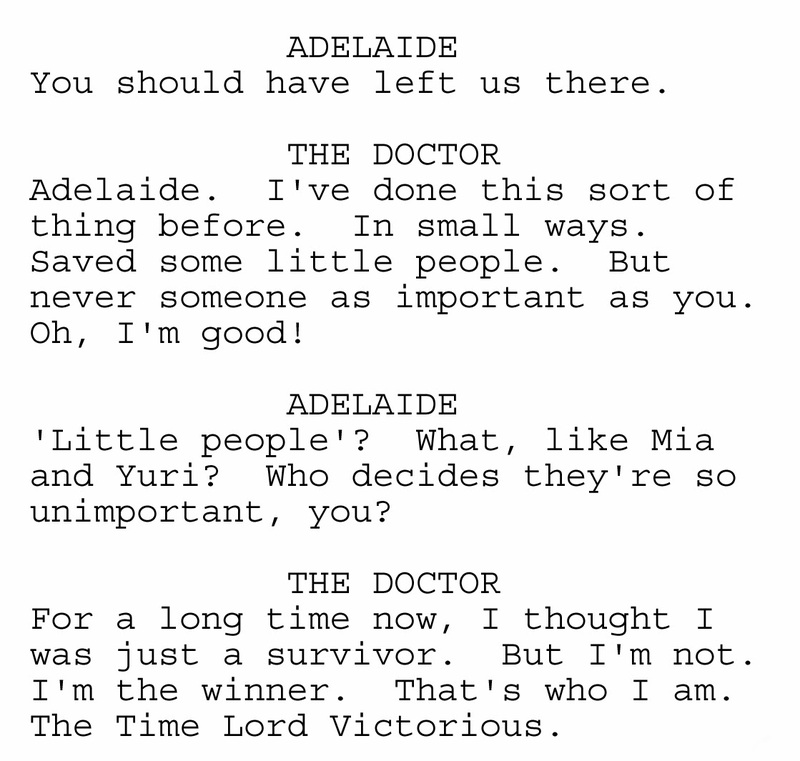 Adelaide proves she is smarter than the Doctor. She understands why she needed to die. She understands the implication of the events that happen because she dies. She now despises the Doctor. She knows what she has to do and she commits suicide. This episode takes a truly horrific turn. It is devastating. The Doctor knows immediately he has gone too far. Ood Sigma appears and the Doctor immediately asks, “Am I going to die?” Everything about this is chilling, dark, and wonderful. But not wonderful for everyone. Immediately after this aired, I brought a copy in to work for a friend of mine and I could watch over lunch. Another friend who was not familiar with Doctor Who watched with us. Afterwards, she looked at us wide eyed, “has the Doctor ever done that before?” My other friend who was a fan also in shock over what she saw just said “no.” very quietly. Of course this episode has created an ongoing debate between a close friend and me dating back to when the episode first aired. He doesn’t buy into the Time Lord Victorious stuff. He doesn’t think the Doctor would ever do this. It is very contrary to his character. I think my point is that is why it is so interesting is that he did do it and now we see the consequences of it. Well, at least I thought we would. I don’t think we ever really did and that is too bad. If anything, I would have liked to see him be “punished” for what he did. It should have played into his final adventure more prominently. As for my friend and I, we recently got into an argument about this again after we watched Hide for the first time. Just for the record, I was the one who was unreasonable while my friend was just laying out his reasons for why he didn’t like that concept in the episode. Not only is The Waters of Mars is one of my favourite episodes of the Tennant era because of the change in his character but I think it is one of the best looking productions ever including some of the most frightening monster make up ever seen not only on the series but ever. Truly amazing! Finally, it was directed by one of the greatest creative minds on the series, Graeme Harper. I know a lot of people love David Tennant. I have grown to appreciate him more but he is still not one that I care for like the other actors. I have seen him in other things and I think he is brilliant; his performance of the Doctor just leaves me cold. How is that for a cheery article? 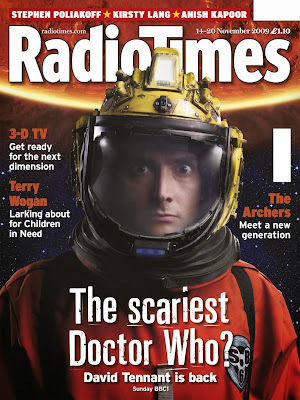 Next 50WHO article: this week November 23rd we celebrate the 50th anniversary of Doctor Who. I will publish my eleventh article that day with a manifesto of sorts as to how my life has been influenced by this series. How so much of what I do has been done from what I have seen in the series. How so much I have done in my life has been done In The Name of the Doctor. Have a great week and don’t forget to vote for what I watch for the 50th anniversary marathon! 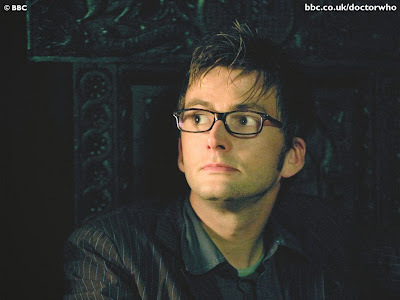 I think the Tenth Doctor set the standard myself, but not until the 3rd series. Rose was just too strong a character and outshines him too much I was glad to see her leave as well. As far as Water of Mars its a great story, but I think with potential for so much more. I would of had Adelaide Brooks shoot the Doctor then shoot herself after their final conversation forcing the Doctor to regenerate there for his actions.